Six letters that inspire either thrill or fear. and fear change thrust upon us. That’s just how we roll. and everyday lessons from some unexpected people. and its relationship to longevity in their fields. From them, I’ve learned that embracing change is a key factor in staying power. active, engaged, and full of life. long past the time when others have accepted retirement. They are still contributing in their fields, encouraging others, outpacing younger men, and achieving noteworthy accomplishments. This, because they have learned to adapt to change. Less than four years ago, my father (now 78) found web addresses a mystery not worthy to solve. I called him one night when the news stations were reporting on the Internet that his firefighters had entered a fire without proper equipment. The next day, when emails were pouring in from around the country criticizing his firefighters, he suddenly developed a passionate interest in the Internet. Not long after, he acquired a laptop and learned to navigate his way around. You still won’t find him surfing the web for hours but he learned what he needed to learn to continue doing what he loves to do. Likewise, Les Stobbe, started in the writing business back when people wrote books on typewriters and bought them from places called bookstores. Les has kept apace with the technological changes of publishing but more importantly, he’s stayed in touch with changes in the way we communicate the gospel to each new generation. Now in his eighties, he remains a force for Christ and inspires those of us coming along behind him to excellence, perseverance, and relevance in telling others about Jesus. but it is important that some of us have an understanding of the times so we can communicate how God’s word applies to our everyday lives in a way every generation understands. and that brings me to Jackie Chan. Jackie Chan is a little guy, compact, petite. When he first hit the scene, no one would have expected him to pack much of a punch. He appears unassuming, unarmed, not much of a threat. But Jackie Chan knows that power and might is not limited by size or access to props. surprising his opponents every time. to combat the enemy in our time. this necessitates the change (thrust upon me) of moving the blog to an author website sometime in the near future. Everytime I balk at this step of progress, I see the faces of my dad and my agent. The blog will be the same content but it may look a little different. I’ll let you know when the website goes live and I hope you all will make the change with me. and is my attempt at using everything at my disposal in the battle for souls (like my hero, Jackie Chan). and I’d love to know what it looks like in your life. So tell me, what changes have you embraced to continue the work of building God’s kingdom? How do you keep understanding the times? How have you, like Jackie Chan, used everything at your disposal to combat the enemy? Let’s spur one another on to love and good deeds. Thank you for the stiff kick in the pants. Congrats again on your book. And I’m glad you are moving to a personal website. I’m eager to see the changes you make. Your blog is a blessing. Thank you, Kristin. You are ever-kind. I love change the most when it is the result of growth in a good ‘plant’! As a fruit bearing tree delights with the bountiful harvest wrought through changes in development and weather, so too are, and will be, the fruits of your growth, Lori of Issachar 🙂 May our Master Gardener continue to bless and tend to you as you continue to grow and bless with your fruitful words! Lori of Issachar – that’s cool. Change. The older you get, the more inevitable it is. The best part? God is with us. What a relief! I echo everything Kristin said above! Your words minister to my heart beyond what I could ever convey to you! And I’m right there with you re: embracing change! I went back to grad school in 2008-2009 because I want to finish strong and have something practical to offer (beyond a long-ago B.A. in English, French & history and an aversion to teaching English!). I got an MBA in Economic Development, planning to hopefully get a job in microfinance/microenterprise development. Along the way, however, I fell in love with grant writing and acquired a passion for fighting modern-day slavery & human trafficking. Sadly, though, the U.S. economy tanked during that time, and none of the NGO’s were hiring. Then, serious medical issues with elderly parents, and suddenly I’m four years older. And good luck finding a job when you’re 64! But God is good, and I’m now being considered for my dream job–part-time, telecommuting, grant writing for a great Christian organization rescuing children from trafficking overseas. As long as I can see a computer screen, I’ll be able to do this work–and finish strong–and help make a difference. Wow, Kate! I’ll be praying for you. I’m in awe. Let us know about the dream job! Thanks, Lori! I’ll know more on Thursday, I think, and I’ll email you. When I became disabled, I felt my reaching others also became disabled. But Abba brought the computer and e-mail, then facebook, then Circle of Moms (Christian Moms and Christian Mommies)–and I have found a vehicle to pour out my passions and cries for seeing the times as God shows. He started me out reading Revelations probably 30 years ago–it’s been a rocky road, but an exciting one. I get my knowledge from the Holy Spirit revealing Himself through the Scriptures. I don’t follow man or the latest televangelist. Peter said in II Peter 1 that ‘No prophecy of the Scripture is of any private interpretation. For the prophecy came not in old time by the will of man: but holy men of God spake as they were moved by the Holy Ghost.’ I am thrilled for you new next rung in the technological ladder, and am looking forward to receiving good, relevant insight from you. God bless! Hi Lori. I’m going to take a cue from you (and the Holy Spirit) and be direct. Do you leave an important ministry to start an author page? 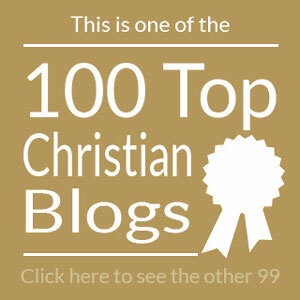 Don’t doubt for a second that your blog is an important ministry. A loud clarion call in this Babylon is a mighty thing. You are sharing God with people who love Christ and His sacrifice, people like me. We will hear you – I’m sure others have. That’s not what the Devil wants is it? I have prayed to God that He send you evidence of this exhortation by sending more believers to you so that the flock can get stronger. Why not start a second website? Why not if need be, write posts only occasionally? I really think you should keep your blog alive. It has already made a difference in my life. Asher, the blog is not going away at all. In fact, I’m insisting it be the home page of the author website. I absolutely respect God’s call to the ministry of this blog. It’s still my primary writing focus. The book coming out is a direct result of the blog writing. So, please don’t fear. The blog will be central to the website – it will simply have a slightly different look and web address. Thank you for confirming what I’ve also heard in prayer. OK Lori, that is good to hear. I shouldn’t have jumped to the wrong conclusion. I apologize. But I am glad you are writing a book too and I hope it goes well. That’s all right, Asher. I love your zeal.